Isn’t this the cutest Spidey-Frog fabric you have ever seen? I had this fabric for 4 or 5 years before I finally decided on a pattern. The reason that it was in my stash for so long was because I only bought 1/2 yard – what was I thinking? 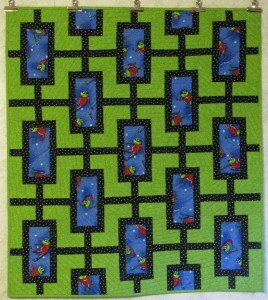 Last year I made this little quilt top (37″ x 42″) and machined quilted it this last weekend. It is a little hard to see in the picture, but I quilted a large spider web on the top. 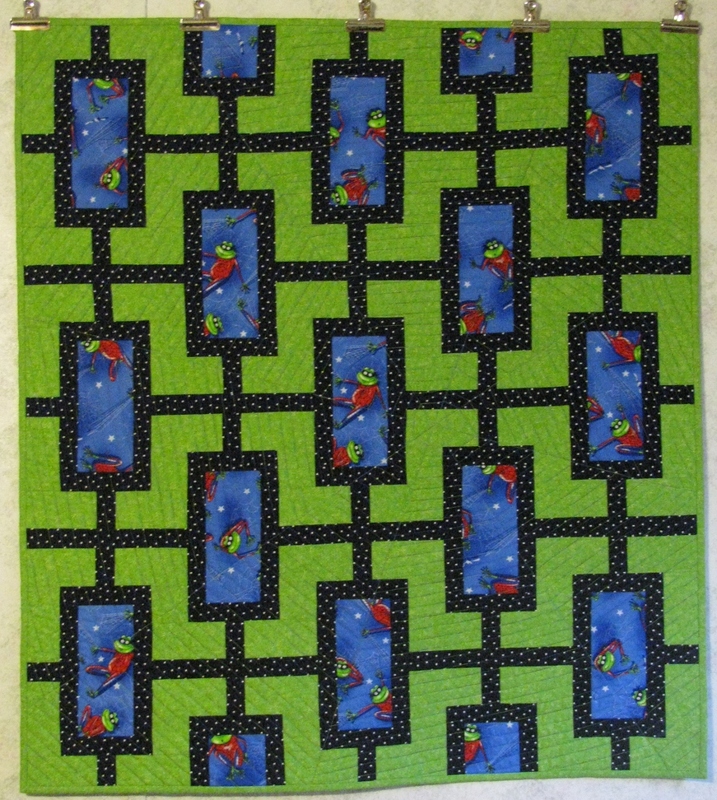 Two quilts completed – two tops to quilt and one mystery quilt top to sew – no problem. I like that it looks like he is jumping off the fabric. 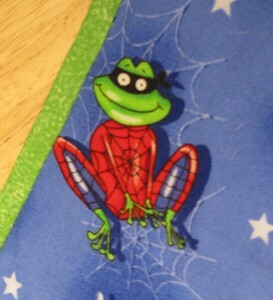 With that mask, I think he’s Spidey-Ninja-Frog. I think you are right – the quilt has a new name.